TOKYO - World stock markets rose Tuesday as tensions over the downing of a Malaysian Airlines passenger jet in Ukraine eased after pro-Moscow separatists released a train packed with bodies and handed over the aircraft's black boxes. 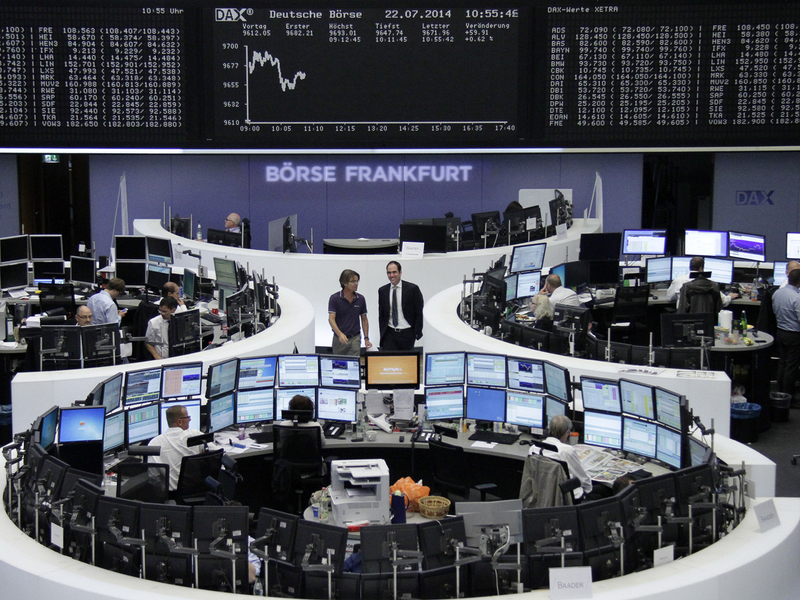 In Europe, Britain's FTSE 100 gained 0.5 percent to 6,764.55 and Germany's DAX added 0.8 percent to 9,689.15. France's CAC-40 gained 0.6 percent to 4,328.51. U.S. markets looked set for an upbeat start, with Dow futures up 0.2 percent and S&P 500 futures up 0.1 percent. Shares fell Monday as investors awaited corporate earnings while monitoring the mounting political turmoil in Gaza and Ukraine. Some investors fear Western governments, already alarmed by Russia's support for rebels in Ukraine's east, might toughen economic sanctions over the shooting down of the Malaysia Airlines last week with 298 people aboard. The conciliatory moves by the rebels came as European Union foreign ministers were due to meet Tuesday to discuss such penalties. Stock markets in Southeast Asia were mostly higher, though Indonesian shares tumbled 1.7 percent to 5,039.59 as authorities prepared to release official results of the country's hotly disputed presidential election. Elsewhere in the region, Hong Kong's Hang Seng added 1.6 percent to 23,748.72 by mid-afternoon as investors snapped up China property shares on expectations regional governments in China will move to shore up the troubled real estate sector. "There's not much sparkling news," said Linus Yip, a strategist at First Shanghai Securities in Hong Kong. "But Chinese property plays are doing well as some provinces are due to introduce control policies." China's Shanghai Composite Index rose 1 percent to 2,075.48. Lending and sales curbs have cooled China's red-hot housing market, raising worries over possible defaults by overstretched property developers. Japan's Nikkei 225 stock index added 0.8 percent to 15,343.28 as trading resumed after Monday's public holiday. South Korea's Kospi gained 0.5 percent to 2,028.93. In energy markets, U.S. benchmark crude for September delivery was up 24 cents to $103.10 a barrel in electronic trading on the New York Mercantile Exchange. The contract rose 91 cents to $102.86 on Monday. The August contract, which expires Tuesday, was up 43 cents at $105.02 a barrel. The euro edged lower, to $1.3514 from $1.3524 late Monday. The dollar rose to 101.49 yen from 101.40 yen.